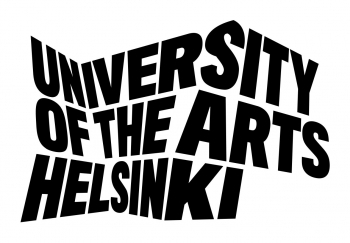 I was very grateful to be invited by Esa Kirkkopelto to present both my theoretical and practical research at University of the Arts Helsinki last month. On the morning of Tuesday 17 January, I presented a 90-minute talk about the relevance of post-Grotowskian practices today and the cultural and political issues raised by the use of ‘world song’ by practitioners like Song of the Goat Theatre, the Workcenter of Jerzy Grotowski and Thomas Richards, and the Wooster Group. The session was thoughtfully organized so that my presentation was followed by another 90 minutes of open discussion in which these ideas were challenged and deepened. I also offered a six-hour workshop, from 18:00-21:00 on Tuesday 17th and Wednesday 18th January. Following the first day of work, I wanted to allow for some verbalization but not to open to freely into a theoretical discussion, which I preferred to save until after the second day of work. I made use of a structure that I developed while moderating artist talkbacks at Movement Research in New York City. In this case, I invited workshop participants to ask any questions that might have arisen from the work. But I strictly forbade myself to respond to these questions verbally at that time, instead trying to integrate them into the second day of work. How could I release my own song? The song in me and the song in my students? How to steal a song in a really dirty way? How to combine exercise-actions with singing practice? How would you describe your own relationship to the songs you brought in? How to stop fearing a solo moment? Is there such a thing as unison? How to describe what just happened in me? When is the right time to let the structure go? How important is voice quality in unison exercises? What does silent/nonverbal pedagogy bring about or create? How much are you allowed to enjoy? Can I enjoy too much? How to create the atmosphere for freedom, that it’s okay to let go? Can an actor’s score be entirely built of exercise-actions? What’s the significance of these specific exercise-actions? Was there something you wanted to achieve? What is the right proportion between freedom and restriction in an instruction? What’s the meaning of dissonance? Is it right to make a caricature of foreign cultural habituses (like we did)? Can I make a character of myself? How long does it take to find optimal relation between talking and nonverbal instructions? How to pick up when the mood is broken? Should I start to like making musicals?